So it’s time to gather the troops and organise a super treat to really show your love and guarantee some lasting memories. 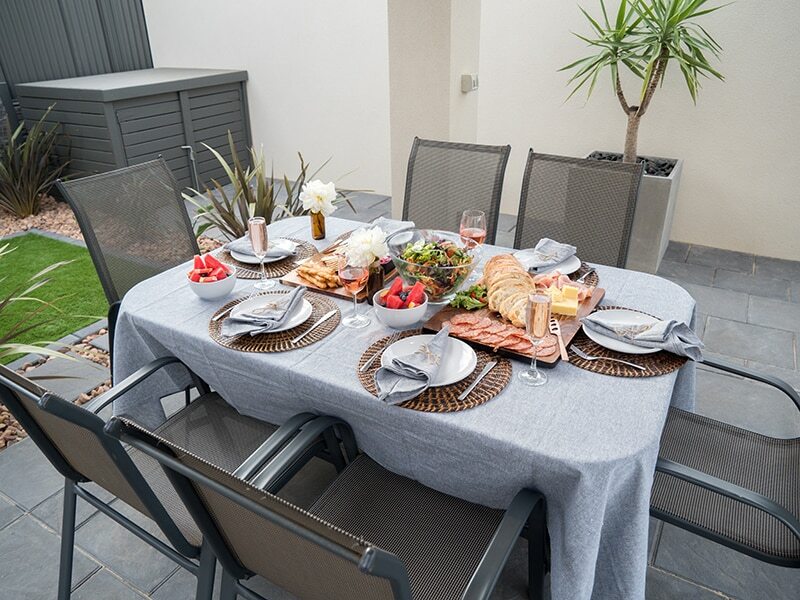 Show how much you love your mum (or help the kiddies show their appreciation) by hosting a classic Mother’s Day brunch with the family, outdoors in the fresh autumnal air. 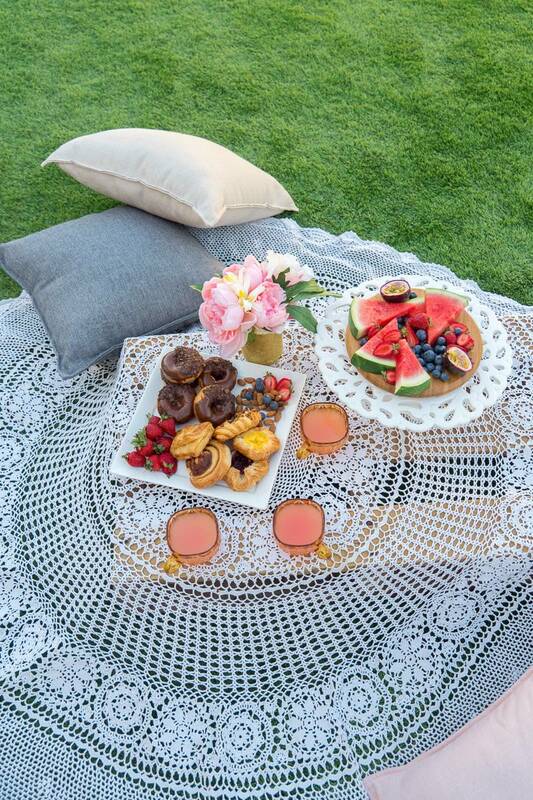 It sounds tricky, but in fact hosting an elaborate brunch is pretty easy! You just need a bit of attention to detail. To make it even easier for you, we’re laying out those details right here, right now. Make the meal special by taking it outside where the air is crisp and the birds are singing. But don’t forget it is autumn – mornings can be chilly in the southern half of Australia! Buy an outdoor heater – you can make it part of Mum’s Mother’s Day gift – and turn it on half an hour before mealtime to heat the space up. It will be even more effective if you’ve got outdoor blinds to pull down and help trap the heat. 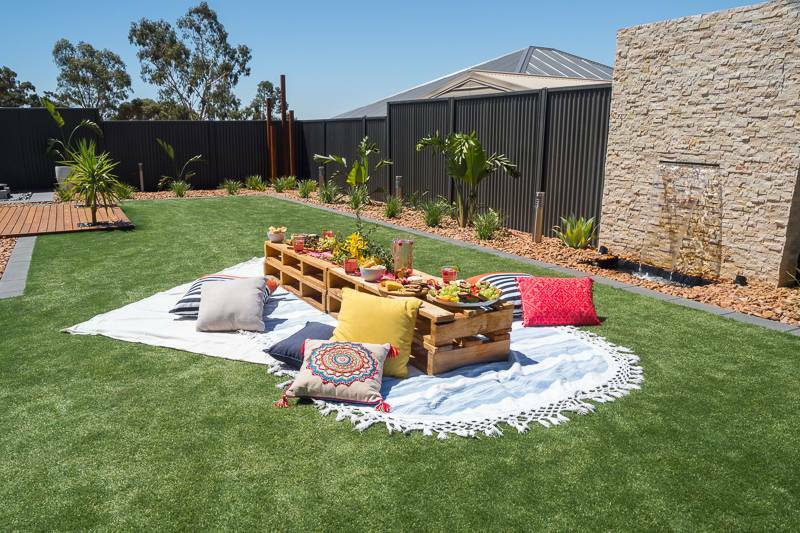 Make sure cosy cushions adorn each seat around the table or backyard picnic area and lay a throw over the back of Mum’s seat so she can wrap up if need be. Dad might not be used to laying out an extravagant, feminine table spread – and that’s OK. This surprise comes from the heart, not your decorating skills! The table is bound to be the centrepiece of your little brunch project, so your whole surprise is going to look far better if you do something special. Cover the table in a cloth and alternate candles and little vases of flowers down the centre. Put a large store-bought flower bouquet right in the middle – or if her gift is a small potted plant, make that the focal point. Send the kids out to pick flowers from around the garden – but supervise them so they don’t lop all the blooms off ALL Mum’s favourite plants! Have the kids create a homemade card in advance and prop it next to Mum’s plate as a place card, beside a small box of her favourite chocolates. Rule number one for this Mother’s Day treat is to keep mum out of the kitchen. This is a dad-and-kids affair only. Pour Mum a cup of tea or coffee, put on a playlist of her favourite music, give her the Sunday newspaper, and keep her from the kitchen and verandah until the table is fully laid. You can avoid a bit of the chaos by being prepared. Plenty of Mother’s Day brunch treats are easy to make the day before. If baking is not your thing, head down to the bakery and pick a selection of your favourite pastries, donuts and other goodies! Other sweet and savoury food ideas include scones, pancakes, a cheese platter, or bowls of fresh strawberries and grapes. Make sure Mum can really sit back and relax by cleaning up as you go along. She’s not to go near a broom, sponge, or kitchen sink! Only when everything is ready can you draw Mum outside. Then it’s time to let go yourself and enjoy a close-knit family meal. Don’t forget to rally the troops one last time to clear the table and wash the dishes without Mum having to lift a finger! At Australian Outdoor Living, we really want you to make the most of your life outdoors.